If you’re looking for high-quality used vehicles in Rochester Hills, Michigan, you’ve come to the right place. At Mercedes-Benz of Rochester, you’ll discover a wide variety of great used cars for sale, including a selection of certified pre-owned cars which have gone through a multi-point inspection to ensure that these vehicles are held to the highest standard. And thanks to our certified pre-owned program, which offers excellent used car warranty options, 24/7 personal assistance, vehicle exchange privileges, nationwide dealer support, and much more, you can buy with confidence at our trusted used car dealership. To start exploring everything we have to offer, check out our certified used Mercedes-Benz vehicles in Rochester Hills, MI online now. At our used car dealership in Rochester Hills, MI, we make it easy for you to get behind the wheel of your favorite used Mercedes-Benz model. With competitive prices throughout our entire used inventory and certified pre-owned Mercedes-Benz vehicles, as well as superb opportunities to value your trade, you’re likely to find a luxurious pre-owned car at a price that pencils out. To team up with Mercedes-Benz of Rochester, review our national certified pre-owned vehicle offers and stop by for a test drive today. 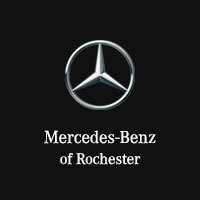 From certified used Mercedes-Benz C-Class sedans and pre-owned Mercedes-Benz GLA SUVs, to used Mercedes-Benz E-Class models and other top used Mercedes-Benz models for sale, you’re certain to find the used luxury car of your dreams at Mercedes-Benz of Rochester. Excited to drive off with one of our beautiful used vehicles in Rochester Hills, MI? Fill out our auto financing application online now, then pick up the phone and give our used car dealership near Troy and Sterling Heights, MI a call.